Elaborate bathhouses were built in Hot Springs, Arkansas during the early 20th century, modeled after ornate structures in Europe. 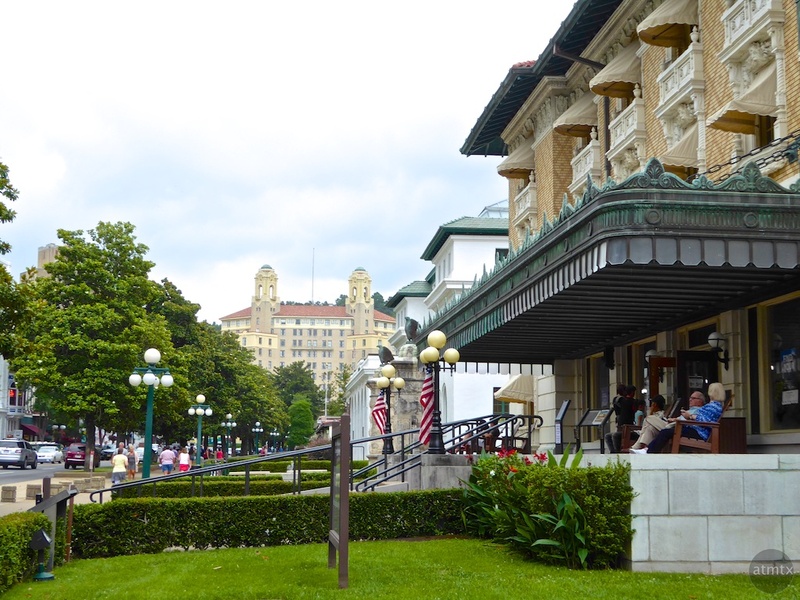 Now, as part of Hot Springs National Park, Bathhouse Row preserves eight historic bathhouses. Fordyce Bathhouse, seen on the right, now serves as the visitor’s center. I shot this iconic view of bathhouse row with the Panasonic ZS50, back during my tour of colleges, a couple of weeks ago. Part of my Photo Sketchbook Collection.